A vehicle is pulled from Lake Michigan in Kenosha, Wisc. KENOSHA, Wisc. 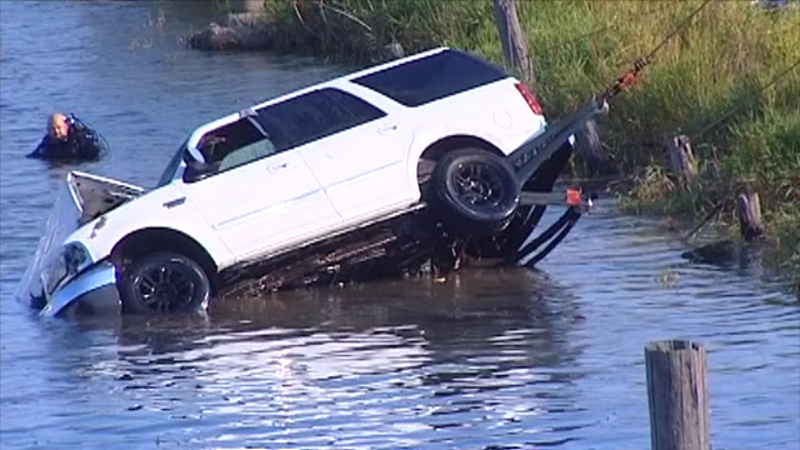 (WLS) -- A 22-year-old woman whose vehicle ended up in Lake Michigan in Kenosha, Wisconsin, Sunday afternoon has died. A dive team pulled the woman out of the vehicle in Kenosha Harbor after police were called to the scene around 2 p.m. Sunday. The driver was taken to Kenosha Memorial Hospital, where she later died. There is no word yet on what caused the vehicle to go into the water.